Fruit bats (Family Pteropodidae) are flying mammals that live in dense forests in Africa, Europe, Australia, and Asia. There are about 166 species of fruit bats. 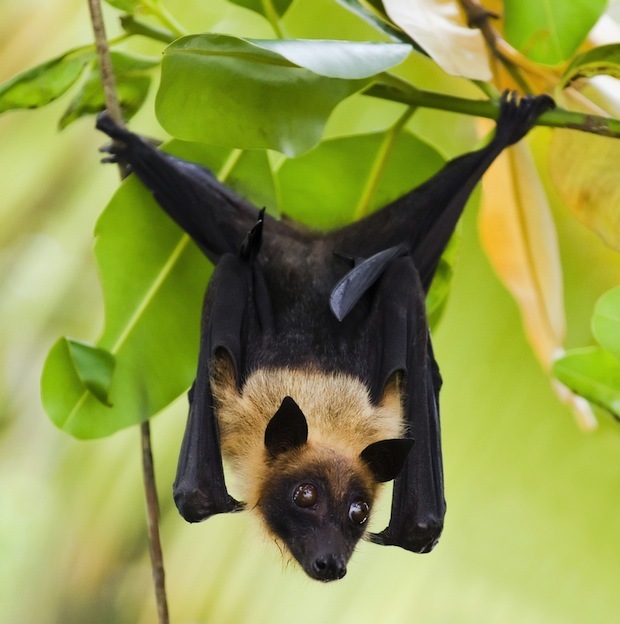 Fruit bats are sometimes known as flying foxes. These bats live in huge colonies, known as “camps.” These nocturnal (most active at night) animals rest during the day while hanging upside down from their feet.